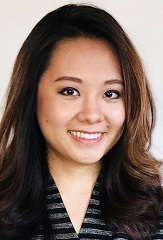 LINH NGUYEN, FSA, MAAA, CERA | Lewis & Ellis Inc.
Linh joined Lewis & Ellis in 2018 as one of the youngest to attain a Fellowship of the SOA. She has a diverse background in Life, Annuity and Health products. Her experience includes asset adequacy testing, loss recognition testing, statutory & GAAP valuation, pricing, financial reporting, internal controls & audits. She has also gained proficiency in a variety of modeling software such as AXIS, MoSes, ALFA and TAS. Her versatility enables Linh to approach each engagement in the most efficient manner. Her breadth in experience also proves to be an asset in fulfilling every aspect of the client’s needs. Her focus and drive allow her to solve difficult problems and build efficiencies, even under pressure. She is an active volunteer for the SOA. In her spare time, Linh enjoys dancing, karaoke and traveling with her husband.